Have you been searching for a smaller vehicle that can save you money on fuel? If so, Landers McLarty Toyota in Fayetteville, TN is the dealership to visit. We carry all of the latest Toyotas at our best price. For a compact daily driver that can save you money on fuel check out the 2016 Toyota Corolla. Landers McLarty Toyota has served Huntsville, Columbia, and Murfreesboro, TN for a number of years. Come by our dealership at 2970 Huntsville Highway and explore the new Corolla today. To help you in your car-buying journey, let’s see how the 2016 Toyota Corolla performs against the Honda Civic. As a compact sedan, the new Corolla has an affordable price tag. However, when comparing these two vehicles, the first thing you’ll notice is the price difference between the two. The Corolla has a starting price of $16,900, while the Civic has a MSRP of $18,490. That’s a price difference of $1,590 in the Corolla’s favor. If you’re looking for a sedan that offers you the most for your money, then the new Corolla is the best option for you. While both of these vehicles are considered compact sedans, one of them provides you with a lot more interior space and cargo capacity. The Civic has an interior space of 94.6 cu. ft., while the Corolla offers passengers with 97.5 cu. ft. The extra three cu. ft. in the Corolla will allow your passengers to be more comfortable on a regular basis. The Corolla also has more cargo capacity at 13.0 cu. ft. compared to the Civic’s 12.5 cu. ft. When driving a vehicle every day, the last thing you want to worry about is mileage. For added peace of mind when using the Corolla every day, Toyota gave the vehicle a lengthy warranty. Both the Corolla and the Civic share a 3-yr./36,000-mile basic warranty, as well as a 5-yr./60,000-mile drivetrain warranty. The Corolla also comes with a 2-yr./25,000-mile of roadside assistance and 2-yr./25,000-miles of free maintenance. 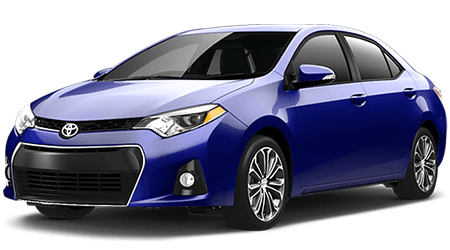 If you’re in the market for a compact sedan that is a joy to use on a regular basis, then the 2016 Toyota Corolla is the vehicle for you. 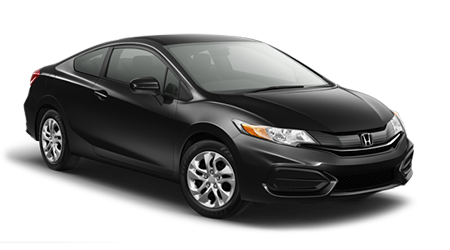 When comparing the Corolla against the Honda Civic, the Toyota has the edge with its larger interior space and more affordable price tag. Stop by Landers McLarty Toyota in Fayetteville, TN at 2970 Huntsville Highway and test drive the new Corolla today.